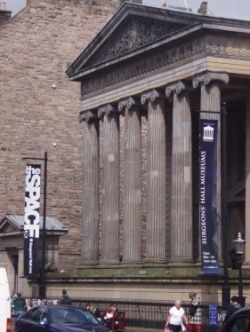 As strong supporters of the Edinburgh Fringe, Ian and Denise Rankin personally sponsored the Z -theatre performing at the Surgeons Hall Museum in Edinburgh. Ian Rankin said, "we were here last year and can see that the Fringe is going from strength to strength. We cannot believe that more than 10,000 shows took place this year over a three week period. The effort is monumental and a tribute to all the youngsters taking part".